Ukraine, Kiev – 2015. 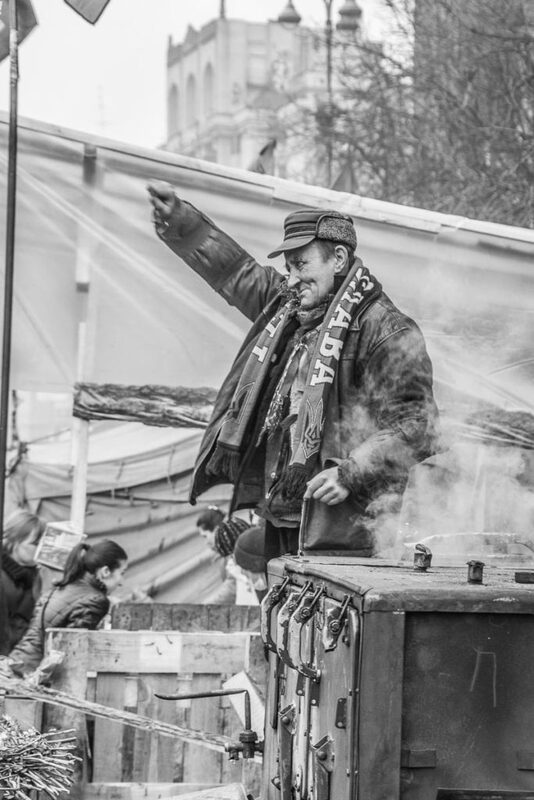 During the Euromaidan revolution of 2014/15, one of the older volunteers waves a salute of support to passers by. As the news came through that Yanukovych had fled the country ordinary people filed into the square bringing with them food, cigarettes, or even just embraces and words of thanks for the self-defense brigades.